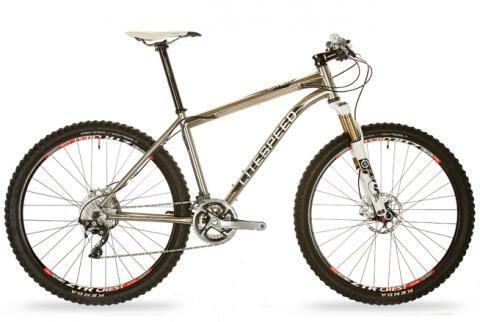 The 2015 Litespeed Pinhoti is a hard-tail 29er as rugged as the 300 miles of trails the bike is named after. It utilizes 142 x 12 mm thru-axle technology to enhance torsional stiffness and vertical compliance while still embracing our Multi Wheel Compatibility ethos. Still handmade in the USA by our master craftsmen and ride enthusiasts. Made in the USA - Performance-inspired geometry identical to the Citico, the Pisgah puts legendary Litespeed performance into service for any cross-country, single-speed, or urban MTB build. New frame design boasts MultiWheel Compatible (MWC) design-optimized for 27.5 inch wheels, yet still compatible with 26 inch wheels via an eccentric BB. Hand-crafted in the USA, the Pisgah offers true, master titanium fabrication, a shot at single-track nirvana, and the heralded Litespeed badge at a level sure to attract a new crowd of titanium enthusiasts. Litespeed Returns to the Pro Peloton! Chattanooga, Tennessee - January 30, 2014 - Veteran bicycle manufacturer Litespeed has announced that they will sponsor the Astellas Pro Cycling Team for the next three seasons. The Astellas Cycling team was recently appointed to the Pro ranks by USA Cycling as a Continental road team and will be making their professional debut in the 2014 season. 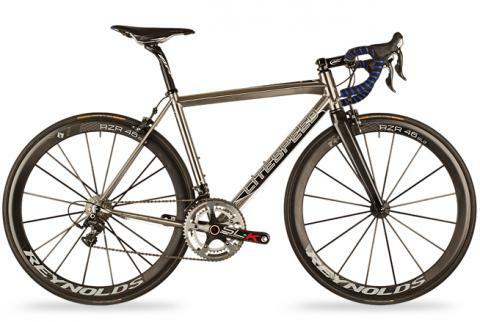 The 2014 Litespeed C3 is an incredible blend of race performance, amazing ride quality, and reliability at a great price. Made of 30T carbon manipulated by Reactive Pressure Molding (RPM) frame technology, the C3 also shares the Aerologic features of the C-series flagship, C1R. The aero features found in the C1, aero seat post, shrouded water bottle mount, and aero tuned tube cross sections, were refined and tested in the wind tunnel to give you the aero advantage on the roads outside the tunnel. The L-series flagship, the Litespeed L1R, is made with an industry-leading 60T carbon and is fully UCI-approved to start winning races. An all-around competitor with multiple asymmetric and shape-specific design features using Litespeed's own Continuous Cross-Sectional Morphology, this frameset was four years in development - and it shows. 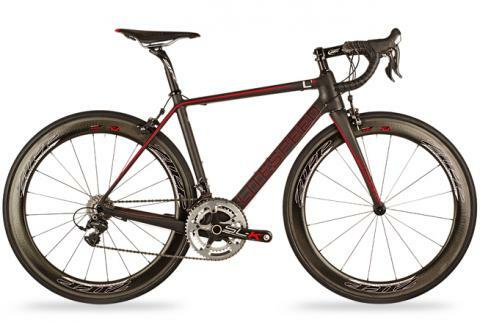 A great review of both Litespeed Carbon Fiber & Titanium bikes. Litespeed has been the world leader in titanium technology and recently made a huge investment on carbon fiber road bikes and getting very good reviews of it. Click on the links for the reviews found on July 2013 Road Bike Action Magazine. 2013 Litespeed T5 is a century rider's dream bike! 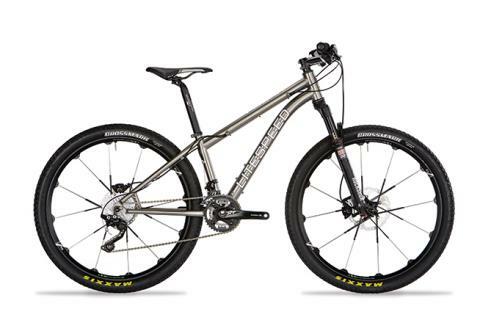 For 2013 Litespeed has incorporated a third titanium road frame into their quiver. The T3 falls directly in the middle of the T1 and T5 (Archon and Xicon of 2012) and offers the perfect blend of race performance and comfort at a price that won't light your wallet on fire. Built on a slightly raised platform, the T3 offers a little more forgiving geometry than that of the T1, but is still 100% race ready. Using the same upgrades to that of the T1, the T3 will offer the PF30 bottom bracket and a 44mm oversized headtube. Since the T1 (formerly Archon) won Eurobike's prestigious Design Award, it has re-written industry expectations of a metal bike's capabilities. The 2013 T1 retains the same features of the previous version, but now also features a PF30 bottom bracket and an oversized head tube for more fork-tuning capability. This frame has replaced the Archon as the most technologically advanced metal bicycle ever created. Named after the Citico Creek Wilderness in Southeastern Tennessee, the pro-grade, Archon-inspired Citico is the first MTB frame to use our T1 engineered 6Al/4V, 6-sided and flared top tube and a massive bi-axially ovalized down tube to provide incredible steering feedback, accuracy, and unequaled front end stiffness. MultiWheel Compatible (MWC) design-optimized for 27.5 inch wheels, yet still compatible with 26 inch wheels via an eccentric BB. A bicycle of brilliant overall handling and absolute world-class performance.